Earlier this year Apple used LEGO® sets to show of their new ARKit technology, which blends real world items with Augmented Reality. That tech demo has now resulted in a new iOS app called LEGO Playgrounds. 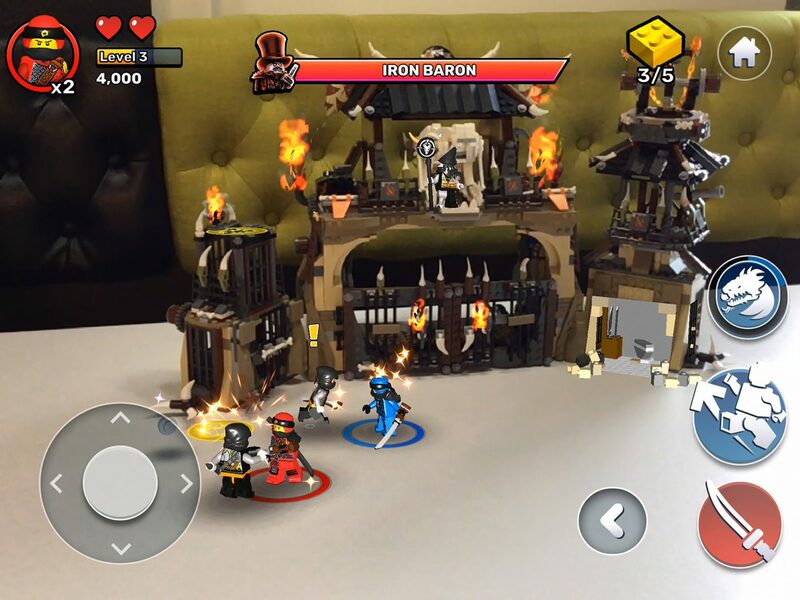 The app, which is available now, allows you to bring physical LEGO elements to life through AR effects. There are two LEGO NINJAGO sets with can currently be used with the app. As you can see below, the Dragon Pit set can be overlaid with special effects and digital minifigures, which can be controlled by the user. Other parts of the set are also overlaid with digital bricks. The free app will be updated with new content in the future, but for now, if you have an iOS device and any of the required LEGO NINJAGO sets, check out LEGO Playgrounds for yourself now. ENFIELD, Conn., Dec. 6, 2018 /PRNewswire/ — LEGO® Playgrounds, an app-based channel delivering a variety of experimental LEGO play experiences and scenarios is now available in the App Store.